There is a huge cash flow benefit to be acheived from collecting in your sales invoices faster, in a timely manner. The quicker you get paid by your customers, the more cash and hence working capital you will have available to your business, and therefore the less you will have to source e.g. by borrowing. If you have an outstanding sales ledger of £100,000, and a debt turn of say 60 days (the average time to pay) every day that you reduce your average debt turn by, will release a further circa £1,667 into your available working capital. Even if you use a cash flow finance facilities such as invoice finance, factoring or invoice discounting, there is still a significant benefit to ensuring that you are getting paid on time. Using the same example, every day you reduce your debt turn by will save you c. £50 in discount charges, if you are paying say 3%. The majority of these kinds of cashflow finance involve a discount fee which is charged for the time that you have drawn down funding. Therefore, the quicker you collecting your invoices, to repay the funding that you have drawn down, the lower your discount charges will be. 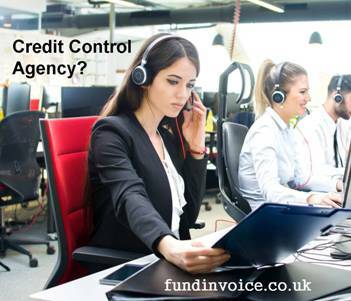 If you undertake the credit control activity yourselves, you may be interested to read our advice article about credit control functions. However, many companies outsource this activity to specialist providers. We have clients on our book that outsource only the credit control activity for their business. If you are struggling to collect your own invoices, even with say an invoice discounting facility - where you undertake the collection activity, there are factoring options available whereby the factoring company will assist you with the credit control activity. It is also the case that often a factoring company will be more successful in achieving a faster debt term then you may achieve undertaking the activity on your own. This is because they employ experienced professional credit controllers, and often have an established reputation as a company that needs to be paid on a timely basis.